It took nearly four weeks, but for the first time this season, the Red Sox have won a series following a narrow 6-5 victory over the Tampa Bay Rays Saturday night. This is also the first time this season that the team has won two consecutive road games. Making his fourth start of the season at a place he usually finds success in for this one was Rick Porcello. Entering the day with a lifetime 2.86 ERA at Tropicana Field, the right-hander took the first steps in turning around what has been an ugly start to his walk year, as he held Tampa Bay to just two runs on six hits, one walk, and one HBP to go along with five strikeouts in 5.2 innings of work. That lone free pass, as well as two double plays being turned, may serve as a few important indicators that Porcello is on the road to improvement. Working with a lead from the second inning on, one of the six hits given up by the 30-year-old hurler traveled 413 feet off the bat of Avisail Garcia in the bottom half of the second to plate the Rays’ first run of the evening on a solo home run. Later in the fourth, a pair of triples from Ji-Man Choi and Brandon Lowe in that order gave Tampa Bay their second run and make it a 5-2 game. Retiring six of the next nine hitters he faced after that, Porcello’s night would come to a close following a two out single from Lowe in the sixth. With Avisail Garcia, with one home run under his best already, due up next for the Rays, Alex Cora made the switch for Heath Hembree out of the Red Sox bullpen. Finishing with a final pitch count of 91 (60 strikes), Porcello turned to his two-seam fastball nearly 40% of the time he was on the mound on Saturday while also topping out at 93.6 MPH with his four-seamer. Still without a winning decision on the season despite better results, Porcello’s next start should come against the Detroit Tigers, his former club, sometime next week. In relief of Porcello, Hembree entered with one out to get in the sixth and did just that before surrendering a leadoff triple to the speedy Kevin Kiermaier in the seventh. After recording the first out of the inning, Hembree made way for the recently called up Bobby Poyner, who walked the first man he faced in Rays pinch-hitter Guillermo Heredia and gave up a two-run triple to the next hitter he faced in Austin Meadows. That cut Boston’s lead down to one run and in came Marcus Walden. Recently called up himself, Walden had himself another impressive showing, fanning the only two Rays hitters he faced to send this contest to the eighth with his team still in the lead. In that eighth inning, Matt Barnes, working two days in a row, allowed Tampa Bay to come all the way back from an initial five run deficit by serving up a leadoff, then game-tying homer to Yandy Diaz. Presumably upset at himself, Barnes retired the next three hitters faced all via the punch out. Thanks to a mini rally from the Red Sox bats in their half of the ninth, Ryan Brasier had the opportunity to come on for the save with a one run lead to protect and Christian Vazquez now behind the dish after Sandy Leon was pinch hit for. Like Barnes, Brasier was also in his second straight game, and it showed, as he allowed the go-ahead run to reach base on a leadoff single from Robertson and a two out knock from Tommy Pham. With Willy Adames at the plate for Tampa Bay with the chance to be a hero, Christian Vazquez made the play of the game, picking off Pham with a rocket of a throw to Steve Pearce covering first. And that’s how this 6-5 win came to a close. On the other side of things, the Red Sox lineup was matched up against ex-Astros right-hander Charlie Morton for Tampa Bay, who had only made four career starts against Boston prior to Saturday. Able to get the scoring started right away in the second, a JD Martinez leadoff single and a pair of walks drawn by Xander Bogaerts and Jackie Bradley Jr. filled the bases for the Red Sox with just one out in the inning. Following a mound visit and a Tzu-Wei Lin strikeout, Sandy Leon, in his second game back with the big league club, was able to drive in the Red Sox’ first run of the night by taking a 86 MPH cutter from Morton off his foot. That made it a 1-0 game and reloaded the bases for the top of the order. Capitalizing on that miscue from Morton right away, Andrew Benintendi swung at the very first pitch he saw in his second at bat against the Rays hurler and wound up blasting his first career grand slam to unload the bases. This is going just GRAND! That put the Red Sox up 5-0 early on, but they were kept quiet over the next few hours, unable to score again until the ninth. Going into that final frame having given away that aforementioned five-run advantage, Jackie Bradley Jr. of all people would begin things by ripping a leadoff single to right field off Rays reliever Jose Alvarado and representing the go-ahead run. After another Tzu-Wei Lin punch out, the nine spot was due up next for the Red Sox, and instead of Sandy Leon, in came top prospect Michael Chavis to make his major league debut in a decently crucial spot against the left-handed Alvarado. Called up by the Red Sox on Friday, Chavis took advantage of the unfamiliar matchup and laced a 1-2 double over the head of Kevin Kiermaier in center field, advancing Bradley Jr. to third in the process of picking up the first hit of his young career. 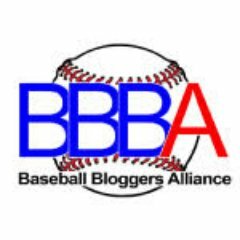 According to Statcast, that two-bagger from Chavis had an exit velocity of 109 MPH and traveled a distance of 401 feet. Not bad for your first AB in the bigs. With the lineup turning over and the go-ahead run now just 90 feet away, Benintendi came through with another huge plate appearance, this time driving in Bradley Jr. on a sacrifice fly to left to collect his fifth and final RBI of the night. That put the Red Sox up 6-5, which would go on to be the final score in this one. Mitch Moreland, who started at first, departed from this game in the third inning due to back spasms. According to Moreland himself though, he should be able to play Sunday. Martinez began the season with a 10-game hit streak and owns the AL’s longest active hit streak (10). Chavis' double is the first extra-base hit off Jose Alvarado this year. Right-handed batters had been 3-for-25 with 13 strikeouts against Alvarado previously. Alex Cora on Michael Chavis: "There’s no lack of confidence. You see him walking around; he belongs. We saw that in spring training as far as the offensive upside, the way he controls the strike zone." Already with their first series win of 2019 in hand, the Red Sox will for the sweep over the Rays on Easter Sunday. Left-hander David Price will get the start against his former club, while former Pirates hurler Tyler Glasnow is slated to take the mound on the opposite side. Michael Chavis is also due to make his first career big league start in this series finale, although it is not clear where he will be playing. First pitch Sunday is scheduled for 2:10 PM EDT on NESN. Red Sox going for the sweep. In a corresponding move, the Red Sox also recalled left-handed reliever Bobby Poyner from Triple-A Pawtucket. The club announced the transaction Saturday. The #RedSox today placed RHP Nathan Eovaldi on the 10-day injured list with a loose body in the right elbow, retroactive to April 18. To fill Eovaldi’s spot on the active 25-man roster, the club recalled LHP Bobby Poyner from Triple-A Pawtucket. Eovaldi, 29, was coming off his best start of the season last time out against the New York Yankees, in which he surrendered just one unearned run over six quality innings of work on Wednesday, so this news definitely comes at a bad time for a starting rotation still trying to work things out. Going back to the 2018 season when he was with the Tampa Bay Rays, the right-hander was first diagnosed with loose bodies in his throwing elbow right before Opening Day. Arthroscopic surgery was needed and Eovaldi did not make his first start with Tampa Bay until May 30th of that year. Although no timetable has been set yet, it seems likely that Eovaldi will be sidelined for the forseeable future. Expect Hector Velazquez to fill his spot in Boston’s rotation. Bobby Poyner, meanwhile, has posted a 4.26 ERA over five relief appearances and 6.1 total innings pitched with the PawSox so far this season. Making his first stint with the big league club this year, the 26-year-old southpaw made 20 appearances out of the Red Sox bullpen in his rookie season last year, posting a 3.22 ERA and 1.345 WHIP in 22.1 frames of relief. With Opening Day just five days away, the Red Sox made their third round of roster cuts on Saturday, reassigning two players to minor league camp and optioning three to the minors. Outfielder Gorkys Hernandez and catcher Juan Centeno, both non-roster invites this spring, were the two reassigned to minor league camp. They will, however, remain with the big league club before they head off to Seattle. Hernandez, 31, slashed .244/.279/.415 with two home runs and five RBI in 43 plate appearances this spring, while Centeno, 29, slashed .294/.368/.294 with three RBI in just 19 plate appearances. Both figure to start the 2019 season with Triple-A Pawtucket. On the other side of things, the two surprising additions to Boston’s 2018 Opening Day roster did not make the club out of the gate this year, as left-hander Bobby Poyner and right-hander Marcus Walden were both optioned to Triple-A Pawtucket. Poyner, who is technically still a rookie, surrendered seven earned runs on 10 hits and three walks to go along with eight strikeouts over seven appearances and 9.2 total innings of work this spring. Walden, meanwhile, had a much better time of things in his second spring with Boston, as he allowed four runs (two earned) on nine hits, four walks, and 13 strikeouts over seven appearances (one start) and 12.2 innings. And finally, top pitching prospect Darwinzon Hernandez was optioned to Double-A Portland. The 22-year-old southpaw really impressed this spring, posting a miniscule 0.82 ERA over six outings (two starts) and 11 frames pitched. Despite the rumblings that Hernandez could potentially make the Red Sox’ Opening Day roster as reliever, the club ultimately made the decision not to rush things. Now, the native of Venezuela will have the chance to develop more while in Portland as a starter, presumably. Following Saturday’s transactions, the Red Sox’ active roster now stands at 30 players. Assuming that Hernandez and Pedroia start the season on the injured list, while Lin and Travis are optioned, and Leon is either traded or designated for assignment, the Red Sox’ 25-man Opening Day roster is essentially set. The Red Sox fell to 6-13-1 in Grapefruit League on Friday afternoon following a 14-1 shellacking at the hands of the New York Yankees in Tampa. As indicated by that final score, this was not and ideal day for Red Sox pitching. Making his fourth appearance (third start of the spring), Hector Velazquez kicked things off by allowing four runs, only one of which was earned, on three hits and one walk to go along with one strikeout in less than two full innings of work. After loading the bases by allowing the first three hitters he faced to reach base in the second, the right-hander managed to only surrender two Yankees runs, with DJ LeMahieu reaching on a fielding error to score Miguel Andujar and Gary Sanchez scoring from third on a Brett Gardner sacrifice fly, before Alex Cora made the first call to the bullpen. With Adam Lau now on the mound and runners at the corners, Yankees slugger Aaron Judge greeted the 2015 37th-round pick by blasting his fifth home run of the spring over the center field wall. That homer put the Red Sox in an early five-run hole, which turned out to be one they never recovered from. Lau did strike out the next and final hitter he faced in Giancarlo Stanton, though. From the middle of the third on, Jenrry Mejia, Bobby Poyner, Jordan Weems, Erasmo Ramirez, and Ryan Weber combined to give up nine runs (six earned) on 10 hits, two walks, three strikeouts, and surprisingly no other home runs. Mejia put together the best performance of any Red Sox reliever on Friday, as he retired the side in order with one punch out in a scoreless third inning. Poyner, meanwhile, was hit the hardest, as the left-hander could only sit down one of the seven hitters he faced in what would turn out to be another five-run frame for the Yankees. Through six outings this spring, Poyner owns an ERA of 8.22 and a WHIP of 1.57 over seven total innings. Not favorable numbers for someone looking to make Boston’s Opening Day roster like he did last season. On the other side of things, the Red Sox lineup was matched up against Yankees right-hander Domingo German, who figures to have a shot at cracking New York’s starting rotation with ace Luis Severino out all of April. German, 26, shut out the Boston bats in four impressive frames of work, allowing just three total baserunners while fanning six in the process. In fact, it wasn’t until the sixth inning when the Red Sox finally get on the board. Facing off against new Yankee reliever Adam Ottavino, three consecutive no out hits from Andrew Benintendi, Rafael Devers, and JD Martinez would plate the club’s first and only run of the afternoon on a GIDP off the bat of Sam Travis. So, no RBI awarded there and the Red Sox would go on to drop this one by a final score of 14-1. They have not won a Grapefruit League contest since March 5th. As stated above, JD Martinez was back in the Red Sox lineup on Friday after dealing with back tightness earlier in the week. According to @RedSoxStats: In 13.2 innings this spring, Brian Johnson and Hector Velazquez have combined to give up 28 hits and 18 earned runs. Next up for the Red Sox, they’ll head back to Fort Myers to play host to the Atlanta Braves at JetBlue Park on Saturday. Right-hander Kyle Wright, who is ranked as the second best pitching prospect in the Braves’ system according to MLB Pipeline, is slated to start for Atlanta. And for the Red Sox, it will be Chris Sale making his 2019 Grapefruit League debut. The left-hander tossed three innings in a minor league game this past Monday, meaning he will be coming off a regular five days of rest. Should be exciting to see. First pitch Saturday is scheduled for 1:05 ET. NESN has it covered. After an off day on Monday, the Red Sox fell to 6-11 in Grapefruit League play on Tuesday following a 4-3 loss to the Detroit Tigers at JetBlue Park, marking their sixth straight defeat. Like Rick Porcello did on Sunday, 2018 postseason hero David Price made his 2019 debut in this one, getting the start against one of his former teams. Working the first three innings, the left-hander surrendered two runs on a pair of hits and walks to go along with four strikeouts in his first in-game action of the spring. Both of those Detroit runs came in the top of the third, when with two outs and a runner on first, ex-Pirates shortstop Jordy Mercer blasted his second home run of the spring to give his new club a two-run advantage. Other than that one blunder, it was relatively smooth sailing for Price, as he faced three over the minimum nine hitters. In relief of Price, Matt Barnes, Bobby Poyner, Darwinzon Hernandez, Marcus Walden, Erasmo Ramirez, and Jenrry Mejia combined to give up an additional two runs on three hits, six walks, one HBP, and six strikeouts over the final six frames. Barnes, who looks poised to be Boston’s closer to start out the 2019 campaign, bounced back from a rough spring debut Saturday and escaped a fourth inning bases loaded jam while holding Detroit scoreless on Tuesday. Hernandez, meanwhile, had his scoreless appearances streak come to an end in this one, as he allowed Daz Cameron to score on a Kody Eaves two out RBI double in the sixth. Finally, to close things out, Mejia sat down all but one of the four Detroit hitters he faced in a shutout ninth inning to keep Boston’s deficit at three. On the other side of things, the Red Sox lineup, which featured the likes of Andrew Benintendi, Mookie Betts, Rafael Devers, JD Martinez, Xander Bogaerts, Mitch Moreland, Dustin Pedroia, Jackie Bradley Jr., and Christian Vazquez was held in check yet again. Matched up against Tigers left-hander Daniel Norris to start things off, Boston was limited to just three runs on the day, which is actually the most they have scored in a game since last Tuesday. In fact, all three of those runs were plated in the Red Sox’ half of the ninth. CJ Chatham got the late rally started by drawing a leadoff walk against Tigers reliever Kyle Funkhouser, who then proceeded to hit Sam Travis with a pitch to put runners on first and second. Mike Miller followed that up by driving in Chatham on an RBI single up the middle, which in turn led to a Detroit pitching change. With Jose Manuel Fernandez now on the mound for Detroit and one out in the inning, Blake Swihart pulled his club one run closer by lacing an RBI double left to score Travis and advance Miller to third, who would then come around to plate the third run of the frame on a Gorkys Hernandez RBI groundout. Unfortunately, a Bryce Brentz strikeout would put an end to any potential comeback effort, and 4-3 would be your final score on Tuesday in favor of Detroit. When asked about it himself, Price responded with a bit of self-criticism. On the field, Dustin Pedroia went 1/2 with a single in his second game back, while Blake Swihart accounted for Boston’s lone extra-base hit on Tuesday with that ninth inning RBI two-bagger. Next up for the Red Sox, they’ll host the Minnesota Twins at JetBlue Park on Wednesday in the fifth installment of the 2019 Chairman’s Cup. Right-hander Jose Berrios will be getting the ball for Minnesota, while fellow righty Nathan Eovaldi will be making his 2019 debut as well as his first ever Grapefruit League start for Boston. Looking to put an end to this six-game skid, first pitch Wednesday is scheduled for 1:05 ET at JetBlue. This game will not be televised. The Red Sox fell to 3-4 in Grapefruit League Play on Friday following a 4-3 loss to the Minnesota Twins at CenturyLink Sports Complex right down the road from JetBlue Park. Josh Taylor got the start for Boston in this one and impressed with three scoreless innings in which the left-hander gave up no hits and just one walk while striking out three. Taylor, 25, was acquired from the Arizona Diamondbacks last May as the player to be named later in the trade for Deven Marrero that took place in March. He was added to Boston’s 40-man roster in November. In relief of Taylor, Bobby Poyner, Domingo Tapia, Trevor Kelley, Dan Runzler, and Mark Montgomery combined to surrender all four runs the Twins scored on seven hits and five walks to go along with just two strikeouts over six innings of work. Not great. Montgomery, who entered this contest with Boston leading 3-2 and left with them trailing by a run, was handed down both the loss and blown save. The right-hander gave up two Minnesota runs on two hits in the bottom half of the eighth. On the other side of things, the Red Sox lineup, which featured Eduardo Nunez, Rafael Devers, and Michael Chavis to start things out, was matched up against ex-Yankee right-hander Michael Pineda. Pineda, who missed all of 2018 recovering from Tommy John surgery, held the Red Sox scoreless in his two innings of work. In fact, the only offense Boston could produce all day came on two swings of the bat in the fourth and seventh innings of this one. With old friend Addison Reed on the mound for the Twins in that fourth inning and Rafael Devers at second following a leadoff double, Sandy Leon put the Red Sox on the board with his first home run of the spring as the team’s catching competition looks to heat up. Fast forward to the seventh, Bryce Brentz led things off himself by unloading on a pitch from Twins reliever Tyler Duffey and launching it to dead center. I’m going to say it, I’m happy Bryce Brentz is back. That homer put the Red Sox ahead again, but as I have already mentioned, they would go on to drop the second game of the 2019 Chairman’s Cup by a final score of 4-3. Six games into his spring, Brentz is slashing .500/.571/1.167 with two home runs, two doubles, and three RBI. Next up for the Red Sox, they host the Baltimore Orioles on Saturday afternoon in the annual Red Sox Foundation Game. Brian Johnson will get the starting nod against Orioles right-hander Mike Wright Jr. Travis Lakins and Colten Brewer are also scheduled to pitch for Boston. First pitch Saturday is scheduled for 1:05 PM ET at JetBlue Park. The game will be aired on NESN. RECAP: Brock Holt Comes Through with Another Huge Pinch Hit as #RedSox Even Things up with Mets in 5-3 Win. After looking lifeless in a series opening 8-0 loss to Noah Syndergaard and the New York Mets on Friday night, the Red Sox looked to get back on track with Rick Porcello on the mound this afternoon. Making his 31st start of the season on Saturday and coming off an outing in which he gave up four earned runs in less than six innings against the Houston Astros this past Sunday, Porcello had himself a solid day against the team he grew up a fan of. Pitching five full innings in this one, the right-hander surrendered three earned runs on just two hits, one walk, and one HBP to go along with five strikeouts on the evening. As it so happens, those three runs given up by Porcello came on one swing of the bat from New York, when with one out and runners on first and second, Brandon Nimmo ripped a three-run homer to the Red Sox bullpen that put the Mets up 3-1 in the fourth. Fortunately, the New Jersey native remained composed, buckled down, and sat down the final four hitters he faced to end his outing on a more positive note. Finishing with a final pitch count of 88, Porcello may not have gone the six innings Red Sox manager Alex Cora had planned for, but he did throw strikes 70% of the time on Saturday. Out of those 88 pitches, the 29-year-old turned to his slider a total of 36 times, which resulted in six swinging strikes and four called strikes. He also topped out at 93.4 MPH with his four-seam fastball in the second inning. Improving to 17-7 thanks in part to the four-run rally his team put together in their half of the fifth inning, Porcello will take his 4.30 ERA and impressive record into his next time out, which should come against the Cleveland Indians sometime next weekend. In relief of Porcello, the Red Sox bullpen bounced back from an all-around awful performance last night by combining for four shutout frames today. Bobby Poyner, Steven Wright, and Ryan Brasier all picked up holds from the top of the sixth to the middle of the eighth while Craig Kimbrel recorded his 41st save of the season with a 1-2-3 ninth inning. On the other side of things, the Red Sox lineup was matched up against Mets rookie right-hander Corey Oswalt, who entered Saturday with a 6.62 ERA in 15 appearances (10 starts) with New York this season. Starting the scoring right away in the first inning for Boston was Xander Bogaerts, whose one out RBI single plated Mookie Betts from third and put his team up early. Fast forward to the fifth though, after the Mets had jumped out to a two run advantage of their own, and it was Steve Pearce who got a huge inning for the Red Sox started by grounding a two out single back up the middle. One Ian Kinsler single and Mets mound visit later, it appeared as though Jackie Bradley Jr. had come through with the biggest hit of the game up to that point, a three-run home run off of Paul Sewald that would have put his team up 4-3. Crew Chief reviews call that Jackie Bradley Jr. hits a home run in the 5th; call overturned, no home run. Instead, after a rather lengthy umpire review, the home run was instead ruled a two RBI double, which did not and still does not make too much sense. Nonetheless, with this game now tied, an intentional walk of Rafael Devers and a pitching change that saw RHP Drew Smith take over for Sewald set up Brock Holt in another pinch-hitting spot, as he came to the plate in the place of the struggling Sandy Leon. On the first pitch he saw from Smith, Holt drilled a two-run double 406 feet to left center field like the pinch-hitting specialist he is. That was good enough to drive in both Bradley Jr. and Devers, and just like that, the Red Sox had a brand new 5-3 lead. A lead they would not have to look back from en route to their 102nd win of the season. From @RedSox: As a PH this season, Brock Holt is 5/13 (.385) with two doubles, one triple, two home runs, and seven RBI. In his last 30 games, Xander Bogaerts is slashing .324/.377/.532 with four home runs and 22 RBI. His 94 RBI on the season are a career high. In six relief appearances this month, Craig Kimbrel is 4/4 in save opportunities. He has not given up a run nor a hit in those six appearances. Going for the series win and win number 103 tomorrow afternoon, it will be a starting pitching matchup that features two frontrunners for the Cy Young in their respective leagues. For New York, RHP Jacob deGrom will bring a National League leading 1.71 ERA into his first ever start at Fenway Park. In one previous start against the Red Sox, which took place in 2015, deGrom held Boston to two runs on four hits and two walks over six innings at Citi Field. Opposite deGrom will be Chris Sale for the Red Sox, who also leads his league in ERA at 1.96. Per Alex Cora, Sale is expected to ramp it up to three innings of work tomorrow, then the bullpen will take it from there. And in case you haven’t seen it yet, deGrom took Sale deep while the two were in college back in 2010. Not like it matters much in an American League ballpark though. First pitch of the series finale is scheduled for 1:05 PM ET Sunday. 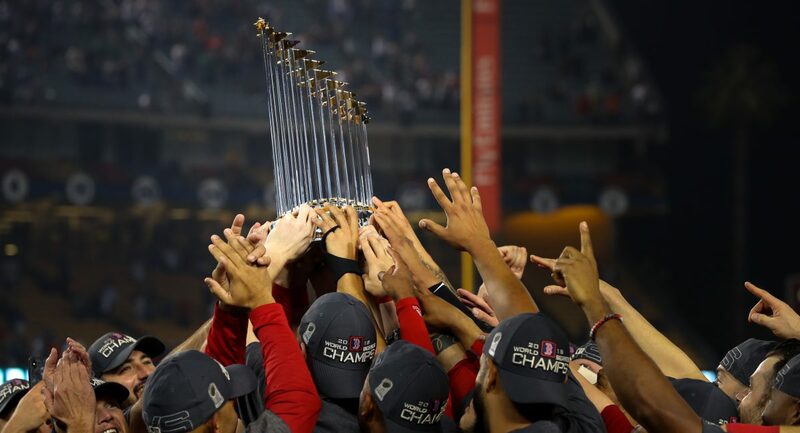 Author Brendan CampbellPosted on September 15, 2018 Categories Baseball, Sports, UncategorizedTags Baseball, bobby poyner, boston, corey oswalt, craig kimbrel, mlb, red sox, rick porcello, ryan brasier, steven wrightLeave a comment on RECAP: Brock Holt Comes Through with Another Huge Pinch Hit as #RedSox Even Things up with Mets in 5-3 Win.